What strategies can organisations use to alter and transform processes to better support the end goal of delivering an excellent customer experience? To answer this question, the PEX Network recently caught up with five key influencers in process innovation to find out the strategies they are each using to embed customer centricity in operational excellence. 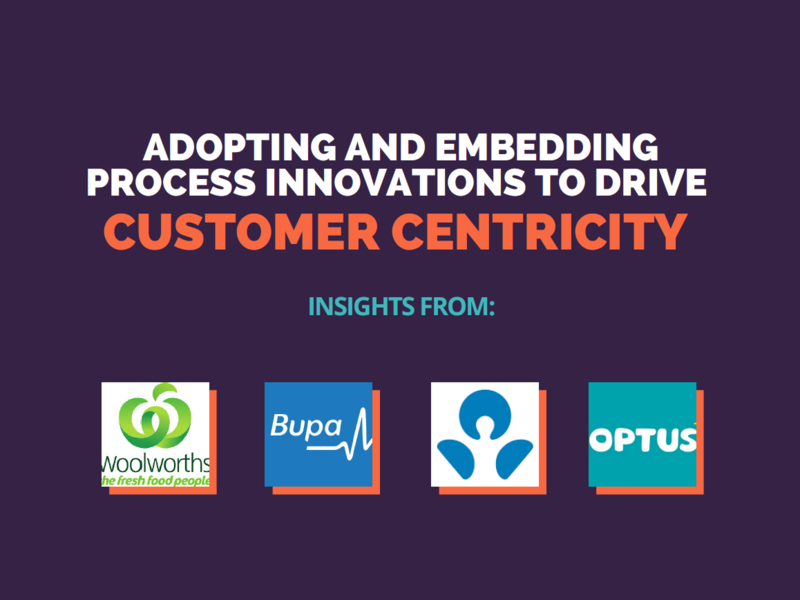 In this eBook, Woolworths, Bupa, ANZ, Virgin Australia and Optus share insight into their businesses approach to putting the customer at the heart of process design and advice for other organisations who are looking to drive customer centricity through process innovation.